DraftKings is getting set to launch their sports book section, and it is one of the most highly anticipated moves from the company in years. Sports betting has not seen much attention in the United States, but recent changes in the law have made it so that it is now legal in many states. If you’re already a fan of daily fantasy sports, then you know that DraftKings has one of the best reputations in the business. They have been the leader in DFS for several years, and they already have several million users on their site. The incorporation of sports betting into their product line will help them to become even more popular. There are plenty of choices when comes to sportsbooks, but Draftkings will turn some heads. But before you get started with betting at DraftKings, there are some things to take into consideration. Here, we’ve compiled all of the things that you need to know to use DraftKings’ new sportsbook with the greatest degree of success possible. DraftKings was one of the first daily fantasy sports sties to emerge in the U.S. They were founded in 2012 and is based out of Boston, Massachusetts. They quickly became one of the biggest DFS sites in the world, eventually taking over the #1 spot a few years ago. DraftKings offers one of the widest selections of DFS contests and offers a large number of sports and league categories. Besides contests in the four major sports (baseball, football, basketball, and hockey), they also offer soccer, PGA golf, NASCAR, tennis, MMA, and League of Legends, just to name a few. DraftKings announced in 2018 that they would be adding a sportsbook to their current offerings on a state by state basis. The opening date for their sports book will vary depending on where you are located. 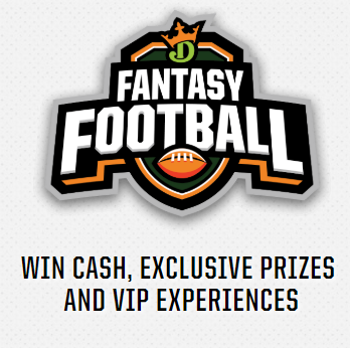 The DFS section of DraftKings is the reason why we know and love this site. DraftKings is the most popular and highly used fantasy site on the web, and there’s a good reason for this. They offer a huge number of games, ranging from guaranteed prize pools, to 50/50s, to heads up games, to big multiplier tournaments. There’s something for everyone here, and the games come available in a large number of financial categories. You can enter a cash tournament for as little as $0.25, or spend several thousand dollars for a single entry. They also have freeroll tournaments available from time to time. As we’ve already mentioned, DraftKings has contests for a large number of sports, which has helped separate them from other DFS sites. Fans of sports like MMA and NASCAR can typically only find large fantasy contests on a regular basis at DraftKings, which has given them a firm user base. In the coming months, the DFS side of DraftKings is expected to grow as new users come to the site for sports betting. Because the site offers both services, the contests will be a lot more popular. This is exciting. A successful DFS site can do a lot more to benefit its loyal users. Because DraftKings is already one of the leaders in this area, we expect that they will continue to be generous to their customers. If you’ve never played in a DFS league, it’s a really simple concept. You draft athletes based upon their expected performance for the given day. Each player can earn fantasy points depending on their performance, and your goal is to score the greatest number of points that you can. The more points your team earns, the greater your chances of winning some cash. Now, the catch is that each player comes with a given salary, and you need to stay within your salary cap while drafting your team. This will prevent you from putting together a team comprised of only All-Stars as they will have higher salaries than the average player. You will need to find a good compromise of talent and cost to put together the best team that you can. There are many strategies for drafting a strong DFS team. These vary from sport to sport. Feel free to check out our available resources when it comes to DFS strategy if you’d like to learn more about how best to dominate your league. Live betting is one of the most popular aspects of sports betting right now, and for a good reason. Even though live betting has been around in some form or another for quite a while, live betting is currently one of the hottest emerging trends in sports betting. With live betting, bettors can make predictions on money line, over/under, and spread bets, as the game progresses. The odds and the payouts will change depending on how much time is left to play, and what the current score is. Even though the payouts will change as the sports book sees fit and this won’t always benefit the bettor, there are a lot of opportunities to make these bets with higher levels of expected value, especially when the score changes in a significant way before the book can make the appropriate changes. DraftKings will almost certainly add a live betting section to their sports book. Because it is so popular right now, they have a lot to gain from adding this service. And you as a bettor have a lot to gain by learning different live betting strategies and maximizing your skill in this area. Live betting is tough, but it also is an extremely worthwhile part of sports betting. DraftKings always has promotions available for their fantasy sports players, and it stands to reason that there will be a steady stream of promos for sports bettors, too. Taking advantage of promotions can help you to grow your bankroll more quickly and maximize the profits that you can reap from your betting. These range from deposit bonuses, to free plays, to exclusive and seasonal promos. The Crowns program allows you to enter DFS contests for free when you have built up enough crown credits, and there will likely be some version of this on the sports book page. The Missions that DraftKings offer can also add some rewards to your account. These typically come in the form of cash added to your account, but not always. DraftKings does have other giveaways and contests from time to time. Paying attention to their Promos section can give you a better idea of what’s going on at DraftKings. DraftKings also allows their customers to earn XP (Experience points) as they play more contests. As you gain XP, more benefits and exclusive offers and contests become available to you. This might seem like a silly promo, but it encourages customers to be loyal to the site and to keep returning for more and more games. The more you use DraftKings, the more you stand to benefit from them. You will find promo codes for DraftKings once in a while on the web. Using these can help you to maximize your bonuses when you make a deposit and even entitle you to the occasional free play. Keep your eyes open for these to get the most out of your money. Again, it’s not 100 percent clear yet how these promos will be used in the sports book side of things, but it’s clear that DraftKings has a lot to offer their customers. They also do a lot to reward long time customers, which is a great reason to use their site and to keep using it. As soon as we receive the best Draftkings Promo Codes we will share it with you. If you’re thinking about creating an account with DraftKings, you’re probably wondering why you should go with them as your sports book rather than one of the many other sports betting sites that are out there. DraftKings has a lot to offer their users, but not everyone will find that these help them as much as other sites might. Many of the benefits of DraftKings are outlined here for you. Even with all of these benefits, DraftKings might not necessarily be the best site for you individually. Hopefully, the information that we’ve outlined here for you can help you to make an informed choice about which book to go with. There are a few other great choices when it comes to sports betting in the U.S., so feel free to them out, Bovada, and other sites before making your decision. And, you should also check out the sites themselves. DraftKings has a great product, but you will definitely want to see it for yourself before finalizing your choice. If you are ready to create an account at DraftKings, the process is really easy. Click on their link, and then click on the “Sign Up” button in the top right of the screen. You will need to supply your name and address, along with your email information. Your date of birth needs to be supplied, too. This is so that DraftKings can ensure that you are of the legal age to use the services that they offer on their site. For most locations, this age is 18 years old, but depending on where you are located, it might be as high as 21. To stay in compliance with the law and to ensure the safety of their users, DraftKings may ask you to provide proof of identity before your account can be validated. This can be done through a scanned copy of your driver’s license, but other documentation may work as well. If you have questions about this process, a quick call to their customer service department can walk you through any specific issues that you are facing. Next, you will want to fund your account. You can do this through a credit card, a bank transfer, or PayPal. Whatever you use as your deposit method will be the easiest way to make a withdrawal in the future, so be sure to use something that you will still have for the foreseeable future. Withdrawals tend to be processed within a few days. Depending on the method that you use, you can see your earnings returned to you in less than a week. If you’re going to create an account, be sure you use a signup bonus code. This will help you to get the most out of your first few days playing at DraftKings. Whether you’re interested in the sportsbook or the DFS side of the site, using a promo code when you create your account will help you to maximize your potential for profit when you start using DraftKings in any way. Search for this before you create your account to ensure that you get the most bang for your dollar and don’t miss out on any of the bonus opportunities that DraftKings offers. The minimum deposit on a new account is $5. The maximum is $2,000. Is DraftKings the Best Sports Book? This is a loaded question and it doesn’t have an easy answer, unfortunately. There’s no doubt that DraftKings will be the best sports book for a good number of people, but that doesn’t mean that it will be the best sports book for everyone. Each person needs to make this decision on their own. That’s why we’ve supplied so many pieces of information about DraftKings here. Our goal is to answer all of your questions before they’re asked so that you can form a better idea of who DraftKings is and what they can do for you. So, before you create an account with a sports book, read over our reviews of the most reputable and popular books out there. This will help you to gain a better idea of what each can do for you, and which will benefit you the most. One of the great things about sports betting in the U.S. is that we know have several big sites that offer this, and the competition that is created enable bettors to find great deals and promos on a more regular basis. Ultimately, it’s you that benefits from this. DraftKings has one of the best services on the web, and they might just have the best sportsbook, too. But before you sign up to use them, be sure that you’ve done your research so that you can be confident that DraftKings is the best sportsbook for you, first.